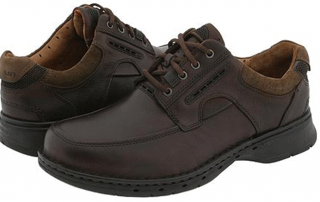 Find top quality orthopedic footwear for comfort and style in Niagara at Elio’s. Our staff makes it easy for you to choose the proper comfort shoes with many options offered at Elios. Wider widths, arch support, extra depth and orthotic friendly shoes offer plenty of comfort enhancements. Elio’s staff will take time to ensure your shoes fit properly. Special orders can also be made for unique requirements. 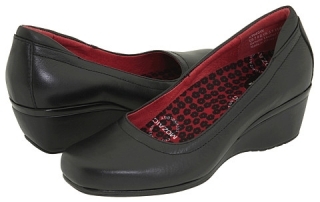 Elio’s offers an impressive selection of women’s comfort shoes – many of which are packed with enough style that you would never know they were comfort shoes. 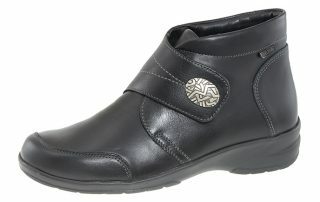 Find top quality comfort footwear at Elio’s including Mephisto, Drew, Finn Comfort, Clarks, among other leading brands. Some of the most common types of footwear include casual/ everyday footwear, athletic footwear, and party shoes. Pedorthists are most interested in your casual / everyday shoes and your athletic footwear because these are what your feet will depend on most often throughout the day. There are two key criteria to consider when purchasing footwear: support and fit. Here are a few simple tests you can do while out shopping. A heel counter is the hard piece of material located at the back of the shoe that controls side-to-side foot motion. Place the shoe in the palm of your hand and press down on the heel with your thumb. A good heel counter will not be able to bend easily. A shoe should offer firm support for your foot. Take the shoe in both hands and attempt to bend it backwards from the middle of the shoe. The more the shoe bends, the less support it will give your feet; however, a small flex at the front of the shoe is normal. Torsional stability is the side to side motion of a shoe. Take the shoe in your hands and twist if from side to side (with the toe of the shoe in one direction and the heel in the opposite direction). A shoe with good torsional stability should not be able to twist very much. Properly fitted orthopedic footwear is essential for keeping your feet and your body happy. If shoes are not fitted properly, they can cause a variety of foot problems; including bunions, corns, calluses, hammertoes, plantar fasciitis and stress fractures. It is important to remember that we all have differently shaped feet and therefore we all have different orthopedic footwear needs. This means the shoes that work for your friend might not be the best choice for you. Have your feet measured by an expert. If one foot is bigger than the other, ensure shoes are fitted to your bigger foot. If possible, have your feet measured at the end of the day when your feet are expanded. Stand up while wearing the shoes and ensure there is 3/8” or 1/2” (about the width of your finger) between your longest toe (usually the second toe) and the end of your shoe. Walk around in the shoes to make sure they are comfortable and do not rub anywhere on your feet.